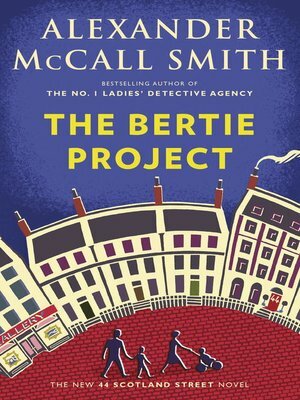 Our beloved cast of characters are back, as are the joys and trials of life at 44 Scotland Street in this latest installment of Alexander McCall Smith's delightfully charming series. Bertie's mother, Irene, returns from the Middle East to discover that, in her absence, her son has been exposed to the worst of evils—television shows, ice cream parlors, and even unsanctioned art at the National Portrait Gallery. Her wrath descends on Bertie's long-suffering father, Stuart. But Stuart has found a reason to spend more time outside of the house and seems to have a new spring in his step. What does this mean for the residents of 44 Scotland Street? The winds of change have come to the others as well. Angus undergoes a spiritual transformation after falling victim to an unexpected defenestration. Bruce has fallen in a rather different sense for a young woman who is determined to share with him her enthusiasm for extreme sports. Matthew and Elspeth have a falling out with their triplets' au pair, while Big Lou continues to fall in love with her new role as a mother. And as Irene resumes work on what she calls her Bertie Project, reinstating Bertie's Italian lessons, yoga classes, and psychotherapy, Bertie begins to hatch a project of his own—one that promises freedom.